I am 24 years old and a girlfriend of 6 years to a heroin addict. I've come to my breaking point, feeling lost and unsure of what to do. I don't know if there's anymore fight left in me anymore. This all started when he got stabbed about 4 years ago, and became addicted to his meds and after he couldn't get those he turn to heroin. Well at least that's what I like to believe. Because I'm sure that the first two years of our relationship we're fine. I didn't realize he was an addict till I was pregnant with my daughter about about 3.5 years ago, and I walked in on him in the hospital restroom to him shooting up. It was devastating at the time I didn't understand the drug I thought it was easy to quit I gave him options to quit or I'd break up with him. I was cold & mean! But also it was draining me his physical appearance and attitude would change in seconds after getting high so it was hard to keep away from me after my daughter was born it took me about two months to realize this drug had a hold of him. I wasn't paying my newborn the attention she needed because I was too busy behind him babysitting him when it just got out of control & I decided to quit. We broke up went to jail. And as soon as he realized that I wasn't going back to him he engaged into another relationship. I guess he was missing the affection of a girl & it was easier for him to do so since the girl knew nothing also easier because we were in different states. So when my daughter was about 1 we moved to the same state he was in but that didn't change a thing not he's addiction nor our relationship. He then went back to jail & when he got out we tried working things out. I was hoping jail had helped him we lived together again. Then after a couple of months he started using again. Kicking him out because I refused to make heroin a part of my daughters life he then became homeless was using like never before. NOTE: I haven't stop loving him not even for a second. But I just couldn't deal with it. A day before he was caught and went to jail again I confessed that I was still in love with him that I loved him and that I wanted to help him, by now I understood that his addiction was not a joke and he needed professional structure and help. This time around I was there for him to the fullest I love him, I'll always love him. I supported him by now my daughter is already two years old. He finally gets out on drug court. That was life changing gave me some hope. This was last year in September while in drug court there was a few relapse but nothing too serious that I felt the need to walk away because the program was there to help him and look out for him as much as he hated it. I got pregnant again thinking to myself that things would be so much more different this time around. 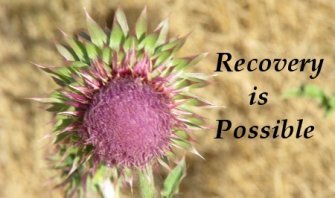 Heroin addiction is characterized by relapse! Words are difficult after reading about your situation. I know the only thing you want is to have your boyfriend stop using and become the man and the father he should be. Heroin is stealing that from you, him, and from your children. Medically, addiction is still largely a mystery. We know it is a disease that attacks the brain and changes our brain chemistry so that we MUST use. Why can some use and not become addicted, while others immediately become addicted and can't quit? Clearly heroin has a total grip on your boyfriend, and it seems that no matter what happens he relapses and starts to use again. I truly believe that to help him you must first help yourself. Please consider joining Al-anon groups and attending at least twice a week. Working the 12 steps and learning about addiction will you to cope and find the strength necessary to get through these terrible times. Once your attending the meetings, working the steps, and have connected with a sponsor who has helped their husband/boy friend to end their addiction, then invite your boyfriend to attend with you. He needs to be in a 12 step meeting everyday for at least 90 days. He can go even if he's still using but he MUST attend. Once he begins to understand his higher power and connects with Him, he will have a chance for recovery and to gain his life back. There is always hope and hope is found in both you and your boyfriend attending 12 step meetings together. The steps work if you work them.